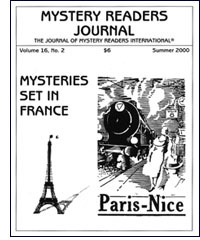 When people ask me what inspired Murder in the Marais (Soho, 1999), my first mystery set in Paris, I survey their eyes. Depending, on what I see, I choose one of two answers. Either the long or the short version. Both are true. It all centers on why I chose to write about Paris and continue to base my series there, in the City of Light. Often I feel I had no choice. Still don’t. It has to do with being caught in the lights reflecting in the Seine, the ancient architecture and the history seeping from almost every building. In the 1970s I lived in Switzerland, three kilometers from the French border. We’d ride bikes into France to an auberge for a five franc dinner: salad, frites and pepper steak. Or pull some onions from a farmer’s field and make true French onion soup. I remember Paris visits, grimy stone buildings, hotels with narrow, steep staircases near the Gare du Nord and eating baguettes and cheese on the quais. But in 1984 I revisited Paris after a long absence. I stayed with my friend, a Parisian, who took me to “her” Paris. We walked all afternoon and then suddenly, tired and footsore, we were surrounded by different buildings. I looked around. We were in another era. Paris had changed. We stood in the Marais amid 16th century hôtel particuliers, in semi-ruin and surrounded by luxurious decay. The trickle of once-royal fountains in the Place des Vosges reached our ears. We rested and my friend explained that the Marais, meaning marsh, had been filled in long ago. Due to its proximity to the Louvre and the court, the nobility had built their mansions to be near the King. She also told me of her mother, a Parisian Jew who’d lived here with her family during World War II. Her family had been one of many Jewish families who’d shared twenty foot-high ceilinged rooms, carved in these mansions in the then ghetto-like Marais. They’d lived there until the French police, under Gestapo orders, had rounded up her family and deported them to Auschwitz. My friend’s mother, 14 years old, had come home from school, to find an empty apartment. She stayed there. Waiting. But her parents never returned. This story haunted me for years and I never forgot it. Ten years later, again in Paris, this time with my young son. we stayed in the Marais. I noticed changes. Malraux, the former culture minister, had saved the Marais from demolition but at a price. Rents had skyrocketed, gentrification was the order of the day but still, here and there, the old Marais could be found. I fell under its spell again. The history of Paris was revealed on every corner. Below a 16th century arch built by François the First would be a plaque commemorating a young French Resistance member shot by the Germans in the Occupation. Around the corner stood a park filled with Roman-era statuary remnants across from a computer shop. The old and new. Yet, the contrast showed a certain continuity and comfort with the past. Thus my detective, Aimée Leduc, half-French, half-American, a computer security specialist, was born. A thoroughly modern Parisian who must untangle the past to discover a modern-day killer. For background information, I researched in the Police Archives in Paris, the Jewish library in the Marais and in San Francisco. There I met a survivor from the Occupation with a similar experience. She generously permitted me to interview her and shared her family’s story despite the pain it brought up for her. I feel that learning about the small details of her daily existence during that time made my story so much richer. The immigrant issues of present day France are reflected in the past. I explore them in Murder in the Marais, and continue this exploration in my next book, Murder in Belleville which will come out in October 2000 (Soho). Belleville, a lively ethnic Parisian neighborhood, once home of Edith Piaf and a strong working class, provides the backdrop of Aimée’s next adventure. The legacy of French colonials from Algeria, the pied-noirs, who returned to France were not always welcome. Not to mention the Algerian-born nationals who come to France thinking la Belle France their second home and find otherwise. I’ve read and enjoyed Georges Simenon’s Inspector Maigret detective series and the lesser-known Léo Malet’s detective Nestor Burma, whose cases take him to the forgotten pockets and quartiers of Paris. I’ve liked them so much I hope to do the same with Aimée, so she and the reader can discover an off-the tourist track Paris, real and sometimes gritty. Cara Black’s website is www.carablack.com. as one barely recognizable whole. My French detective, Mon. Pamplemousse is a case in point. He was born one September evening, in 1981 when my wife and I were dining at a restaurant called Pic in the Rhone Valley. A notebook records the fact that the first book took nearly four months to write, but it would be equally true to say half a lifetime went into it. To start with, I was lucky enough to have been brought up in a house where books were part of the furniture, and as things turned out, lucky too, that my mother was an avid reader of detective fiction. She liked nothing better than to settle down in front of the fire of a winter’s evening armed with a bag of sweets and a pile of detective novels culled from a local library. The settings were always English, for although she revelled in reading about a good, old-fashioned murder involving arsenic in the tea-pot or some such ploy, she didn’t approve of violence as such. Ideally, her detective had to be free-lance, perhaps a retired lawyer, or a scientist, like John Rhodes’ Doctor Lancelot Priestley. It was wartime and new books were thin on the ground, so as I grew out of comics I began to enjoy them too. My own favourite author was Freeman Wills Crofts. His Inspector French books stayed in my mind because of the mathematical attention to detail, and to this day I think of writing as being partly a mathematical exercise; a process distillation that can be set down in the form of a graph. It wasn’t until I joined the RAF and went to Canada to do my flying training that I came across the likes of Dashiell Hammett, Ellery Queen and Raymond Chandler, and realised there were other crime writers out there. Then, one freezingly cold winter’s day some two years later, en route for Egypt, I set foot on French soil for the first time. It was 1945 and most of the rail network had been destroyed by bombs, so the journey down through France was problematical, to say the least. It lasted several days, and I have no idea of the route we took. There must have been moments when the driver wasn’t too sure either. But as we chugged our way slowly southward I gazed out at the passing scene, the sheltered valleys, the distant mountains with their snow-capped peaks, the towns and villages where people came out of their houses to wave us on our way, and fell deeply in love with it all. Having arrived at a transit camp in Hyères on the Côte d’Azur, I thumbed a lift into Toulon and I remember sitting alone in a bistro for the first time in my life, chewing on a piece of black ersatz bread, feeling guilty, for it was all they had to offer, and yet at the same, time blissfully happy as I washed it down with my first-ever glass of red wine. The sun was shining and life had suddenly become infinitely more exciting. Even the simplest things seemed to have acquired an added dimension. I resolved then and there to return to France as soon as I possibly could. Sooner turned out to be later, for it was to be another two years before I was demobilised. Meanwhile, in Cairo I had to content myself with reading all I could about wine and food in magazines, and frequenting avant garde cinemas specialising in French films. It was there that I first encountered the wonderful Marcel Pagnol trilogy Marius, Fanny, and Caesar, and, at the, other end of the scale, endless “B” films starring Tino Rossi, who always seemed to be playing twin brothers, distinguished from each other by the fact that the goodie was clean-shaven and sang, while the baddie had a black pencil moustache and carried a knife. Then one day, in order to while away the boredom of life in the Canal Zone, I wrote a short story and sent it off to a magazine called London Opinion. Wonder of wonders, they accepted it, and I decided I wanted to become a writer. It was 1947 before I returned to France, and food was still in short supply. The owner of a small café where my companion and I stopped for lunch was desolated that she had nothing left to offer us—unless… She made ready a table on the pavement, brought us a bottle of wine, and disappeared inside, eventually returning full of apologies, with the last of some thick rashers of bacon, a small mountain of perfectly cooked pommes frites and a basket of freshly sliced baguette. It confirmed my view that the French not only know how to live, but they do it with style. It was around that time that I discovered Georges Simenon and began to read everything he had ever written, particularly his stories, involving Inspector Maigret. I wanted to “write a Maigret,” but of course I couldn’t—any more than I could have “written a Philip Marlowe”—both characters are quite unique and the truth is that their authors had learned the trick of making it look deceptively easy. In any case I had by then found my own voice, discovering that what I was best at was creating characters with a humorous element, so even if my hero was inspired by Maigret, he would be rather less earnest and he would have to solve his cases more by accident than design. I knew his name, and I knew what he looked like. He would be modelled on a wonderful old French actor called Raimu, who played Caesar in the Marcel Pagnol trilogy I had so enjoyed. Suddenly over the course of the meal that evening in Pic, everything fell into place. Instead of being a fully fledged working detective, Monsieur Pamplemousse would be an ex-member of the Paris Sûreté. Forced to take early retirement because he had blotted his copybook in some way, he was now working for Le Guide, France’s oldest gastronomic bible. It would provide both of us with a ready-made reason for travelling the length and breadth of France. The restaurant had a lovely dog called Giankin who, without ever making a nuisance of himself, kept a watchful eye on everything. How would it be if, when Monsieur Pamplemousse, left the Sûreté he had been given a bloodhound as a leaving present? Pommes Frites—holder of the Pierre Armand Golden Bone trophy for being the best sniffer dog of his year—would make an ideal travelling companion and provide expert assistance when needed. The very nature of the genre lends itself to a series, and as with all series the first book is always the most exciting, for you can go in whatever direction your fancy takes you, but at the same time you build in certain unchangeable parameters, so it’s as well to get it right. One of the pleasures of writing sequels is that the leading characters become in a sense part of your life, and one hopes the reader’s too. I know exactly where they live and what they eat; I know where the offices of Le Guide are situated and the view from the Director’s office windows on the top floor; I know where Madame Pamplemousse does her shopping, where Monsieur Pamplemousse and Pommes Frites take their morning stroll, and where he stops to buy croissants; I can explore their past as well as plan their future. And if I met any one of them in the street I wouldn’t be at all surprised. Research plays an important part in the writing of the books. Compared to England, France is a big country—one sometimes forgets just how big Le Hexagon is at times, bordered on three of its sides by Belgium, Germany, Switzerland, Italy and Spain, it is subject to many outside influences, gastronomic, architectural and cultural, which in turn shapes the people who live there. The process almost always starts off with a visit to some previously unexplored area in order to get the feel of it, look for ideas, and take as many photographs as possible. However well you get to know somewhere during the, space of a week or ten days, the moment you arrive back home and try to put the result down on paper it starts to fade. Were the streets cobbled? What colour were the roof tiles? All the little details that go into making a story come to life. Sometimes nothing gels. Monsieur Pamplemousse Stands Firm, for example, is set in Arcachon, near Bordeaux on the West Coast of France. We spent a pleasant week exploring the area, taking the boat across the inland sea, investigating its famous oyster beds, climbing the 400 foot high, Dune du Pilat—the largest sand dune in Europe—and I came away totally bereft of ideas. One night during the following winter the whole of Europe suffered an enormous storm. A few mornings later I picked up a daily paper and there on the front page was a picture of the Dune du Pilat. The gale had revealed an old German tank that had been buried there for over fifty years. The seed of an idea rapidly took root and began to sprout. I’ve lost count of the number of times I have visited France over the years, but a frisson of excitement still comes over me whenever I set foot there. Life, immediately takes on a new meaning. We were visiting Nice because I wanted to do sonic research for book thirteen. When the time came to leave the hotel there was a mix-up and I paid the bill for room 417 instead of 317. Whoever was in 417 had stayed longer than us, so even now he’s probably going around telling everyone about this cheap hotel he knows. Or maybe his wife is quizzing him to why he was billed for two of everything! I’m sure there must be material in there somewhere… The problem will be in making it sound believable. Who in their right mind would do a thing like that? Certainly not me! Monsieur Pamplemousse?